Inspired by Shari Blaukopf’s post today (Patient Alice), I pulled out the goodies I also received at Usk Chicago and did a quick sketch of my cat. She is a very fluffy, long-haired old gal. Another sketch from Spain. I only had time for. Quick pencil sketch on location, then painted it at home with a photo reference. 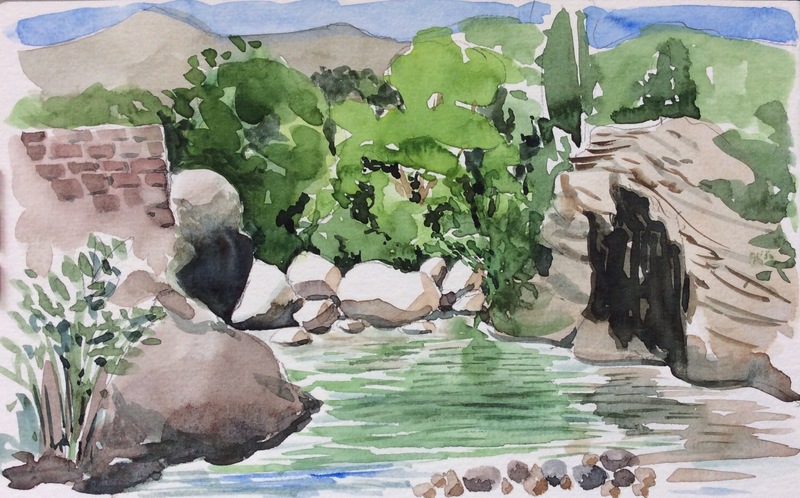 It was a deep swimming hole in a mountain stream in the Pyrenees. So refreshing in the 35C heat.